CALL LAURA AT 904-422-5735 TO SEE THIS HOME TODAY! 3 Beds 1 Bath 1 Partial Bath 1,258 Sq. ft. This home has just been totally updated. Original Hardwood Floors were just refinished, New Roof, Newer Water Heater, Lots of New Paint,All New Lighting, New SS Appliances and so much more. Great Fenced in Yard. Corner Lot and Room to Park a Boat or RV. 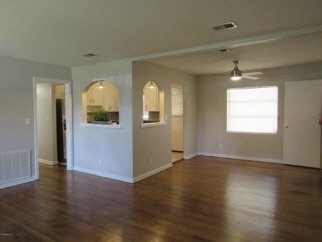 This home has a Bonus Room that is great for an office or 4th bedroom and 1 Car Garage. Don't Delay, Call Today for your Private tour.